Who would have guessed that taking care of your teeth could mean simultaneously taking care of your heart? Probably not many people. However, according to research presented at the American Heart Association’s Epidemiology and Prevention/Lifestyle and Cardiometabolic Health Scientific Sessions, there has been a link found between cardiovascular disease and losing two or more teeth during middle age. More researchers are finding significant evidence that your oral health is associated with the overall health of your body. For instance, oral health problems including gum disease involve the body’s inflammatory response, which is often associated with other chronic inflammatory diseases such as diabetes. 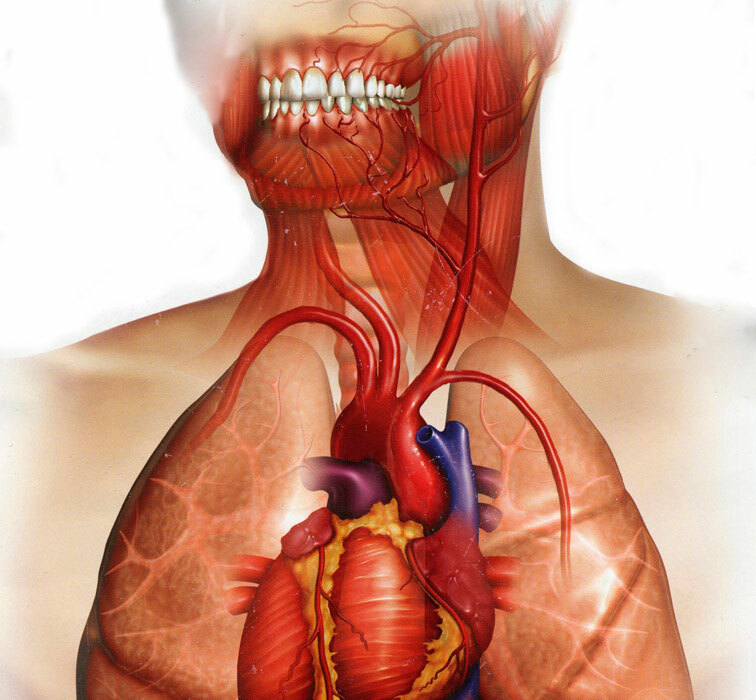 More recently, studies have found that dental health problems are connected with an increased risk of cardiovascular disease. A study conducted by Tulane University School of Public Health, Tropical Medicine, and Harvard T.H. Chan School of Public Health looked at tooth loss in a large group of adults aged 45 to 69 years without cardiovascular disease. Participants were asked to document the number of natural teeth they had and to report any recent tooth loss. The participants were tracked over a 8 year period for the occurrence of tooth loss, and over 12-18 years for the incidence of cardiovascular disease among people without tooth loss, with one tooth lost, and with two or more teeth lost. The results revealed that participants with 25-32 natural teeth at the beginning of the study who lost two or more teeth had a 23% increased risk of having cardiovascular disease when compared to those who did not lose any teeth. Participants who had less than 17 teeth at the beginning of the study had a slightly higher risk of developing cardiovascular disease (25%). Not to mention, all participants who lost two or more teeth throughout the study, regardless of number of teeth at the start of the study, had a 16% increased risk of cardiovascular disease. The increased risk percentages were found despite other cardiovascular risks including diet, physical activity, weight, diabetes, and high blood pressure. Also, be sure to mark your calendars for our Community Blood Donation drive with the American Red Cross and the Wellesley Community Center on Wednesday September 26th, 2018 from 1:00 pm-6:00 pm. The blood drive will be located at the Wellesley Community Center (219 Washington Street, Wellesley, MA 02482). For more info, please click here.